Purchase this product now and earn 1,300 Reward Points! Taurine is a non-essential sulfur rich amino acid that is found in abundance in the central nervous system and is essential for the maintenance and protection of vision. 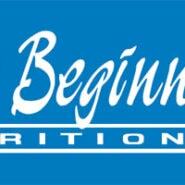 It is synthesized in the liver from the amino acids cysteine and methionine, along with the assistance of Vitamin B6. 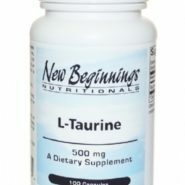 Taurine is helpful as an antioxidant, and in stimulating the production of bile, which is important for adequate digestion and absorption of nutrients. In addition, It helps calm the nervous system by regulating neurotransmitters, strengthens and protects healthy cell membrane, and helps support the body’s yeast defense mechanism. Taurine is manufactured by the body and is found in animal protein but can be deficient in individuals on restricted diets. 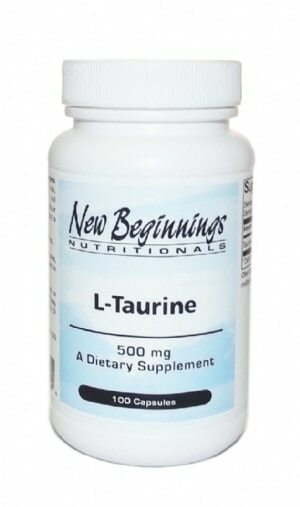 New Beginnings Nutritionals offers Taurine in the more natural and bio-available “L” form. Suggested Dosage: 1 to 2 capsules daily or as suggested by your health care practitioner. Capsules can be swallowed or opened and mixed with food or drink.